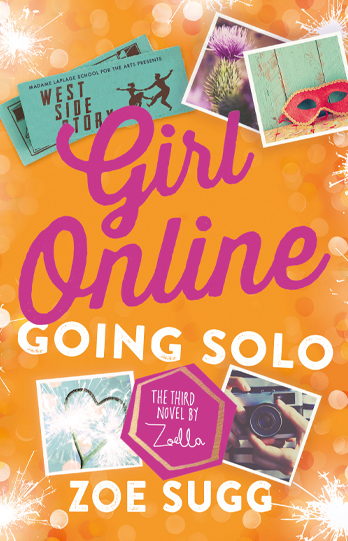 In Girl Online: Going Solo, Noah has disappeared after ending his world tour early, and only his manager knows where he is. Megan is no longer in Brighton but in London at a prestigious drama school, where not everything is as it seems. Elliot is dealing with more family troubles, and Penny is juggling heartbreak and her mental health with trying to further her photography career, move on from Noah, help out with her mum's business and help her friends who need her now more than ever. The question is, can Girl Online cope with going solo? If you hadn't realised by now, I relate to these characters so much - especially Penny - that by the end of the book, I feel like they're actual friends, and then I'm like: Amber, they're fictional, it's over, chill, move on. For a while, Penoah is simply PenPo, in which I mean Penny is on her own as Noah has disappeared. And, even though I love Penny and Noah's relationship, I liked getting to see who Penny was on her own and what she got up to, and in this time she made loads of progress with her anxiety, which I was so happy to see. Sugg has really found her footing in terms of writing, and coupled with the fact that Penny has grown, achieved personal goals, and found what is 'uniquely Penny', this is my favourite book of the trilogy. So far. Because you never know and I live in hope.